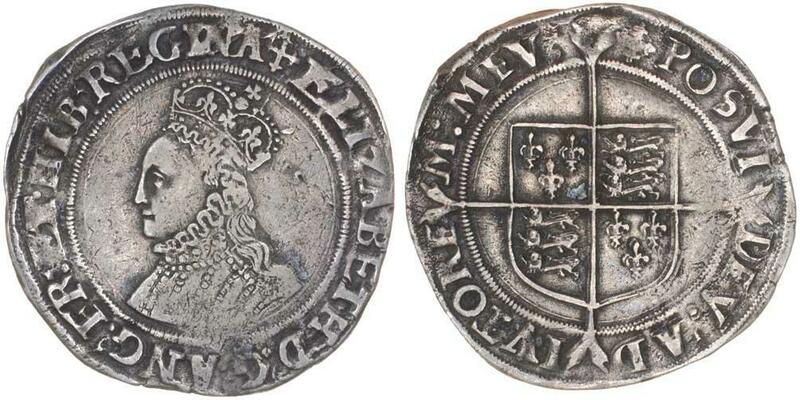 ELIZABETH I, (1558-1603), second issue, 1560-1, silver shilling, mm martlett, bust 3C (S.2555). 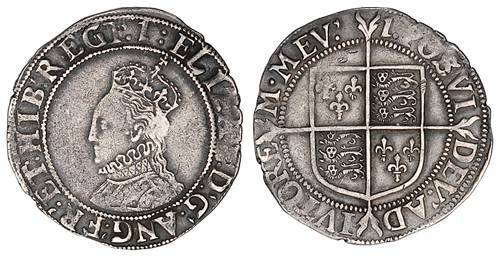 ELIZABETH I, (1558-1603) second issue, 1560-1, silver shilling, bust 3c, mm martlet (S.2555). Dark toned, nearly very fine. 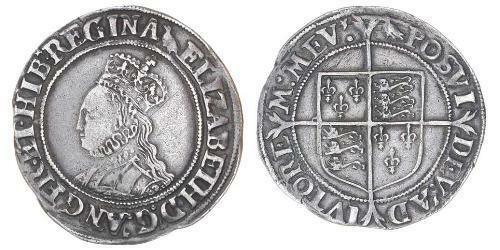 ELIZABETH I, (1558-1603) second issue 1560-1, silver shilling, bust 3C mm martlet (S.2555). 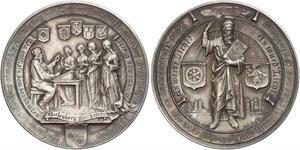 Even grey toned, good fine/nearly very fine. 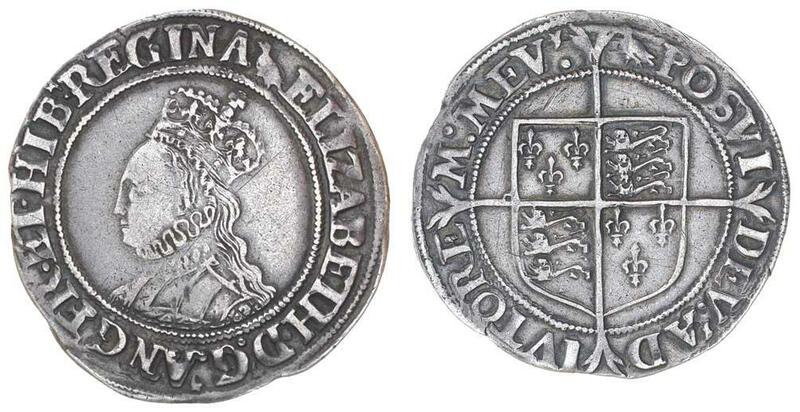 ELIZABETH I, (1558-1603), second issue, 1560-1, silver shilling, mm cross crosslet (S.2555) bust 1A. Toned, very fine. 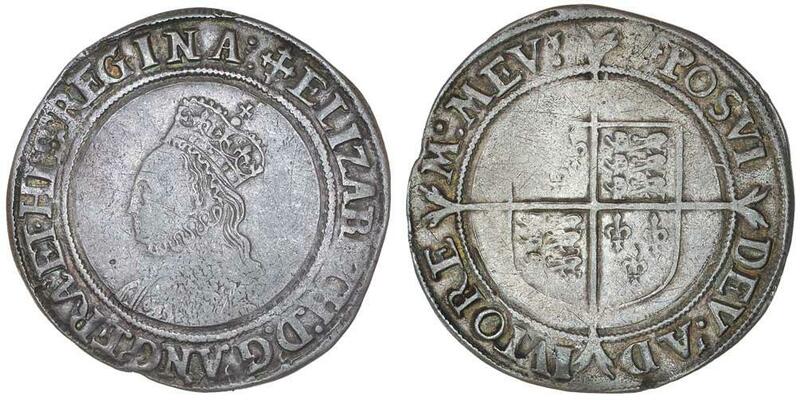 ELIZABETH I, 1558-1603, second issue, 1560-1, silver shilling, mm cross crosslet, bust 3C (S.2555, N.1985). Toned very fine and rare. 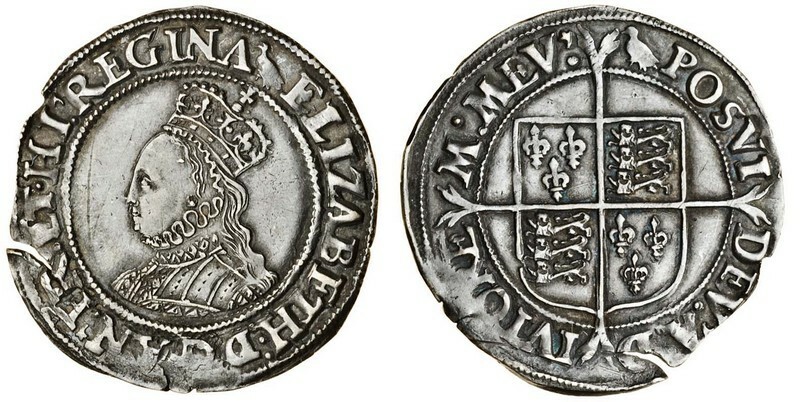 ELIZABETH I, (1558-1603), second issue, 1560-1, silver shilling, mm martlett, bust 3C (S.2555). 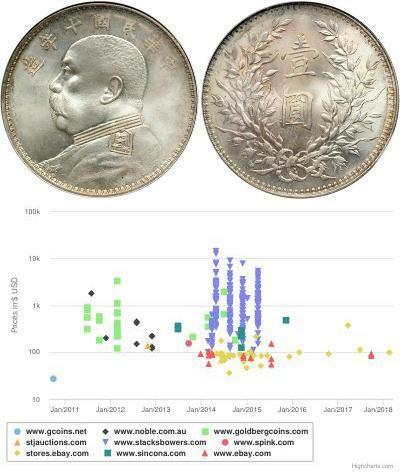 Toned, nearly very fine. 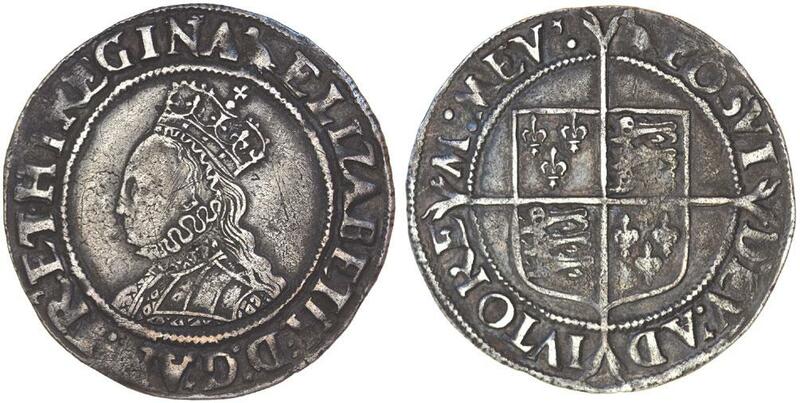 ELIZABETH I, (1558-1603) second issue, shilling, mint mark cross crosslet (1160-1) bust 3C (S.2555). Full flan, weak quarter, light even tone, fine. ELIZABETH I, (1558-1603), second issue, shilling, mint mark cross crosslet (1560-1) bust 3C (S.2555). Nearly extremely fine and rare in this condition.